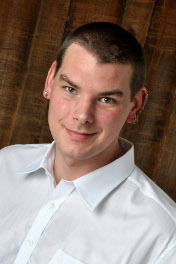 Markus Gaertner has been a software tester since 2006 and is located in Germany. Personally committed to Agile methods, he believes in continuous improvement in software testing through skills. Occasionally he presents on Agile and testing related conferences. He is a black-belt tester and instructor in the Miagi-Do school of software testing, and a co-founder of the European chapter of Weekend Testing. 1. For those of us who are not familiar with the Miagi-Do School of Testing, can you tell us a little about it? Initially Miagi-Do served as a filtering mechanism for people who really wanted to excel in their craft. As more and more people reached out to Matt Heusser for helping them advance, he figured, he needed to sort out the people that really mean from the ones that want quick and cheap answers. We solve this problem by giving out testing challenges. The ones that follow up on it are the ones we would like to work with. Since I took the first challenge, we have grown a bit. Initially only mouth-to-mouth communication served the purpose. Right now we have a blog set up (http://miagido.org/blog), and even communicate more to the outside world about the stuff we are doing. You can think of Miagi-Do as the secret Fight Club from the movie with the same name. We are hard to find, we are sort of a secret club, and we really care about the stuff we are doing. From my perspective Miagi-Do is an apprenticeship model that seems to work at growing the next generation of software testers. We are not so sure about the scaling thing, though, that Cem Kaner mentioned in a recent blog entry. 2. What attracted you to software testing in the first place? Seriously, I sent my resume in for a position in the release management department. I got invited to a job interview. In the job interview I was told I am interviewing for the position of a software tester. I got the job, I started, and found myself in a testing group leader position 18 months later. It was not so much an attraction. It was more that I wanted to do work after finishing my time at the university. I started my job, started to like it, found out that I always had this nitpicky element in me all my life. That’s when I started to like the stuff I was doing, and grow from there. 3. What’s the most difficult challenge you face as a software tester? Right now, I am involved with lots of companies with traditional testers. With the changes of team-based software development, our industry faces a serious problem. Since decades we have been in the role of fighting for the quality in our products, we have been the last line of defense for the customer, and now we need to learn how to contribute to a group of people that we found was our enemy for the past decades. This is a cultural change we need to overcome. As a software tester that means that we have to find how to become a first-class citizen. A few years back I found myself in the “you are too slow”, “we need to deliver this stuff” sort of trap. Eventually I found out that our automated tests demanded too much maintenance. We were able to replace the crap we had “grown” over the period of one year within 18 weeks by using a new approach, using elements from the Agile and XP world, and considering test automation as software development. After we took these steps we were able to serve the project instead of slowing it down. That was the time when my team was seen as first-class citizens. As an industry we still need to learn that lesson, reach out to more testers, and help them become more valuable to the projects and the companies we are working in. 4. Where do you see software testing going in the next 5 years? Oh, I am really bad at this. So don’t bet on any of these words. To me the next step involves growing communities. Right now we are sort of separated in different schools of thought, as James Bach calls them. We have the school of thought where testers are seen more as a replaceable resource, we have the community around the Agile development methodologies, and we have a community around the context-driven school. In the next five years we might not be able to reach common ground on our differences and commonalities, but I think we need to exchange our thoughts. Over time we might be able to find ways develop better products to start. Once software development as the larger industry is able to reliably produce code that works, we will find out that we need to fill in new roles, different roles, and find new frontiers. 5. When your friends (outside of IT) ask you “What do you do as a software tester?”, what do you tell them? Seriously, they never ask that. I sense a problem there. In German, there is a word called “fremdschämen”. That means to be ashamed for someone else. In that silence you can feel “fremdschämen” if you look for it. From my perspective this has to do with the outside view to our profession. What really bothers me about that is whether we are helping the outside view improve by fighting with each most of the times.